The Baarish lyrics from ‘Half Girlfriend’, featuring Arjun Kapoor and Shraddha Kapoor in the lead. 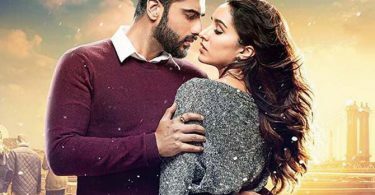 Directed by Mohit Suri, the music has been composed by Tanishk Bagchi. The lyrics of Baarish has been penned by Arafat Mehmood and Tanishk Bagchi. The song has been sung by Ash King and Shashaa Tirupati. If there are any mistakes in the Baarish Lyrics from Half Girlfriend, please let us know by submitting the corrections in the comments section.